Strength training is crucial as people age. It helps them to lead healthier lifestyles, reducing risks of certain chronic diseases like arthritis, obesity, diabetes, and osteoporosis. 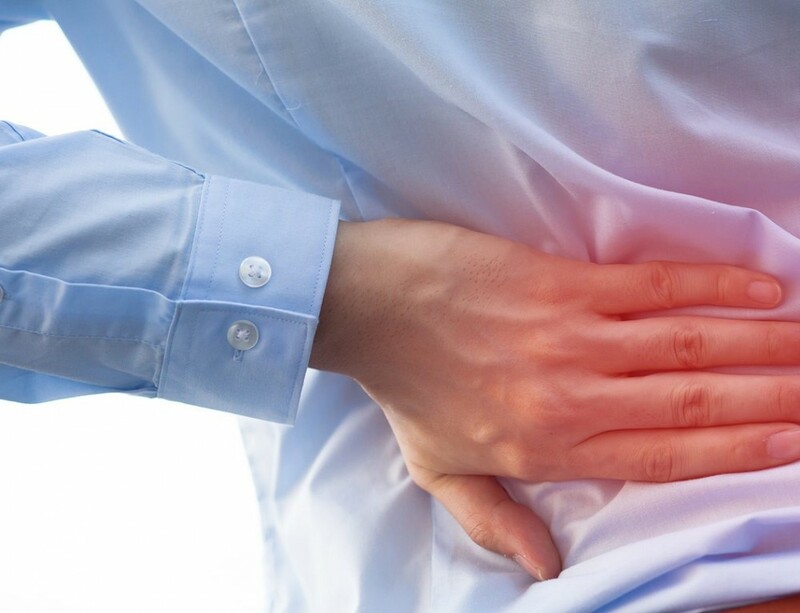 As you get older, you begin to lose your bone density and muscle mass— it’s a natural and normal process. According to research done by the USDA Human Nutrition Research Center on Aging at Tufts University, 45% of older adults in the U.S. lose muscles as they age. Muscle loss (also known as Sarcopenia) can start in your 40s, reducing your energy, mobility, and strength. It also increases the risk of illness, poor health, and falls. Muscle loss can be linked to lack of exercise and poor nutrition. Walking difficulty is a severe problem in older adults; it deprives them their independence and increases mortality rates. 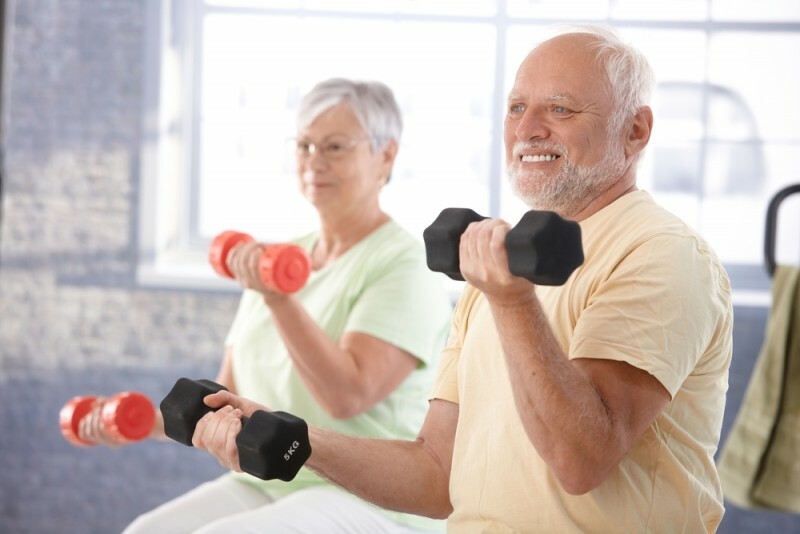 According to the Center for Disease Control and Prevention, seniors should incorporate a 150-minute strength training program (specifically designed for people over 50) into their fitness regimen every week. In your 50s, you need a good strength training program that guarantees results. You are not like the young pretenders who are still in their twenties or thirties. If you are over 50, weight lifting is one of the primary forms of strength training exercises that can help you stay fit and firm. It boosts your metabolism and builds the muscles in all the main muscle groups in your body. 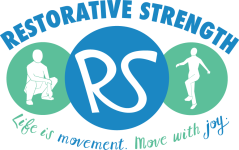 Warm-up and stretching are two essential activities that you need to include in your strength training program. A good warm-up minimizes the risk of muscle pulls and strains during workouts, while stretching reduces soreness and improves flexibility. Squats are essential strength training exercises that enhance mobility for people over 50 by keeping their trunk and legs strong, allowing them to get out of their chairs or couch. 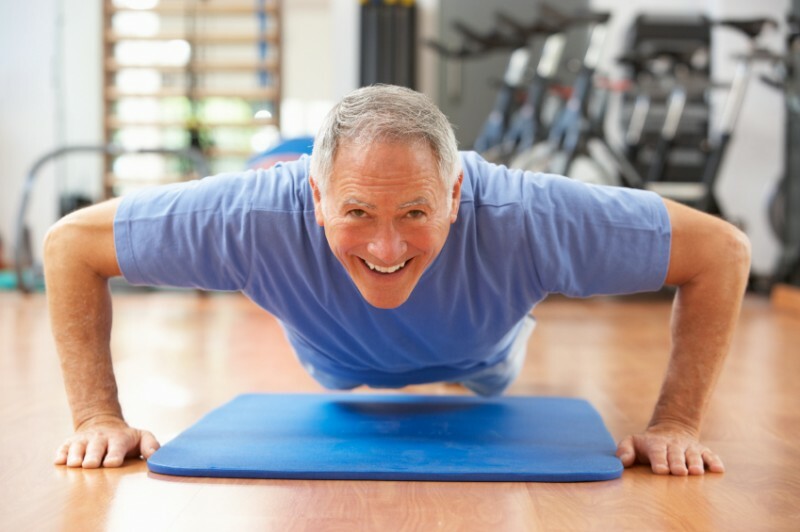 Push-ups are excellent exercises especially for older adults who fall. Strength training is indeed a dynamic process. 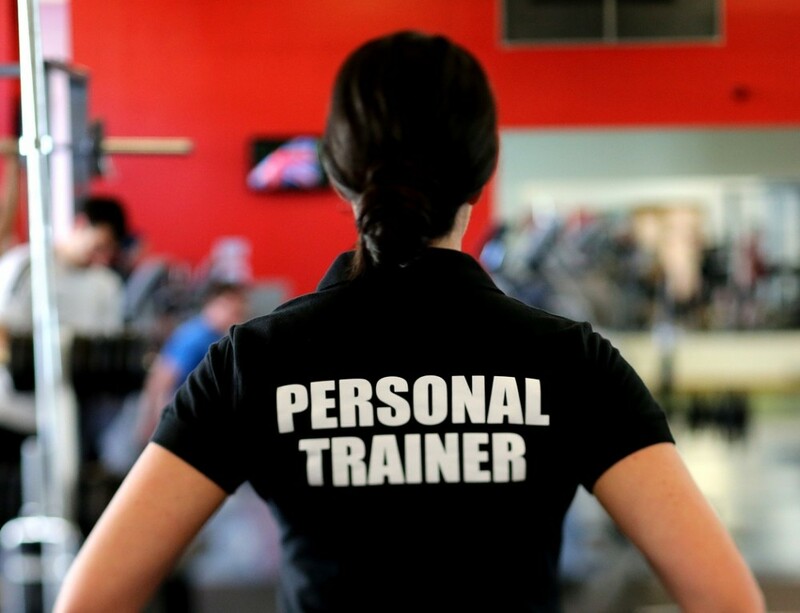 But a good strength training program is one that delivers exceptional results. Strength training was not reserved for marathoners and bodybuilders alone. It’s for anyone who wishes to feel energetic, healthier and younger regardless of their age. 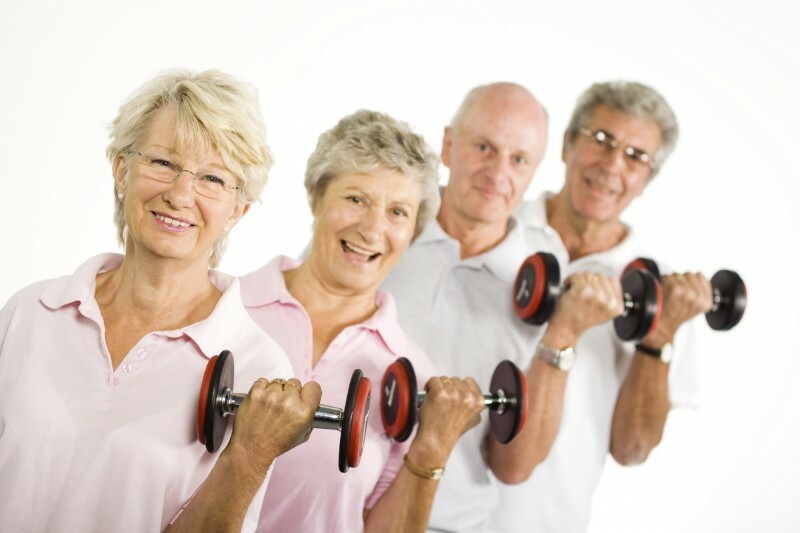 There are several benefits that older adults can reap from strength training. These include prevention of falls, control of chronic diseases, remaining functional, and increasing their bone density,to name just a few. For example; a Gerontology study of people aged between 50 and 75 years living in the retirement care homes found out that performing strength exercises twice a week helped to improve their functional performance and mobility significantly. • Lying Hip Bridges: It opens up your hips while working on your glutes. It is ideal for older adults who spend much of their time sitting down. You lie flat on your back, bend your knees and keep your feet flat on the ground. • Wall Push-ups: This exercise helps to improve your upper-body strength, particularly your chest and arms. Stand approximately 2-3 feet away from the wall and place your hands against it at shoulder-width and shoulder height apart. Bend your elbows diagonally lowering your chest to the wall while keeping your body in a straight line. • Side Lying Circles: This exercise will strengthen your hips and improve mobility through your joints. • Side Plank: This is a plank variation that will strengthen your shoulder joints, a joint that brings trouble to many older adults over 50 years. • Eat to Build Muscle and Keep Fit: Here is the main problem. Many older adults eat an imbalanced diet which lack essential nutrients. That’s why they get fat and out of shape. • Move It or Lose It: many seniors have adopted sedentary lifestyles which adversely affects their health. To reverse this trend, make sure that you move as many times as possible to increase your muscle mass. • Lift Stuff: Make it a daily routine to lift heavy stuff every day. • Get Adequate Sleep: another problem facing older adults today that prevents them from building muscle after 50 is sleep deprivation. Make sure that you get 8- 10 hours of healthy sleep every day if you want to remain healthier and leaner. Combining a good strength training program for over 50 with a high-protein diet will yield optimal results. How Can You Regain Muscle Mass After 50? Muscle mass starts to reduce with age, but you can regain it by staying active. How do you regain muscle mass after 50? Even though it might feel like adding weight and ceasing exercise is an inevitable part of aging, that’s not necessarily the case. Your muscles still have the power! That is why strength training is essential for older adults. Strength exercises will improve your bone density, burn calories, and enhance your memory. Staying active is a critical component of improving the quality of life and overall health as people attain above 50 years. However, this is often easier said and done; older adults face countless problems, from age-related health complications to mobility challenges. 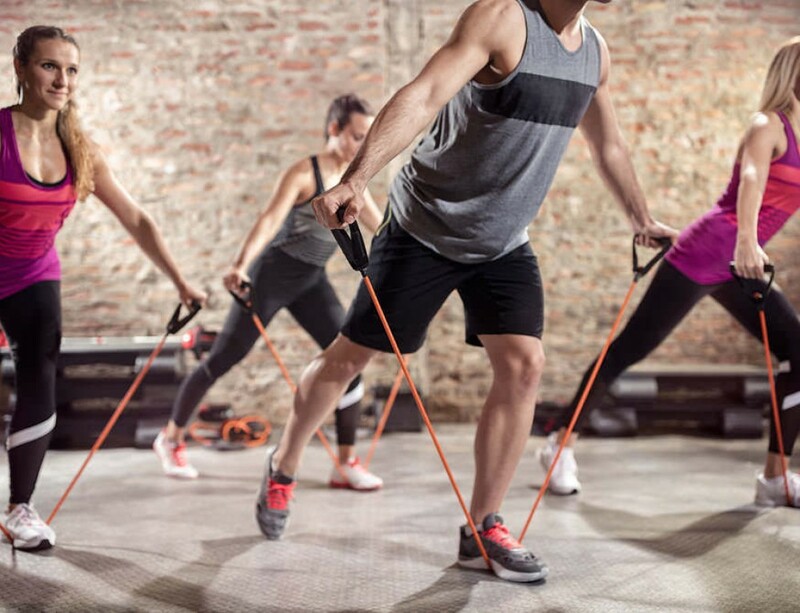 But seniors can enjoy the benefits of strength training regardless of their age, as long as they start slowly on the mobility training fitness plans. Even minor changes can lay a good foundation for significant change in the future. Advancing too quickly can be a recipe for injuries— especially for older adults. Daily strength training is a must, if you hope to reap the maximum benefits from your workouts. Stretch as much as possible to improve your flexibility. 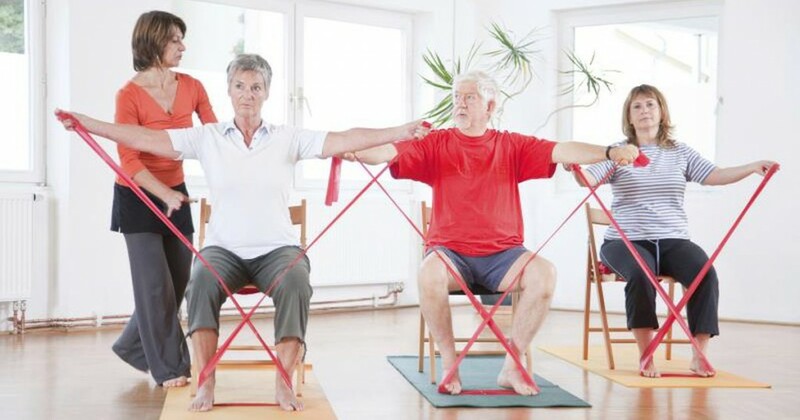 Flexibility exercises will help you enjoy the freedom of movement, a crucial element for adults over 50. While starting a new strength training program in your later years can be an uphill task, it’s not impossible. Strength training for older adults is a worthwhile endeavor, and its importance for people over 50 cannot be overemphasized.